Note: I’ve been sitting on this post for roughly three months now, but was inspired by this weekend’s Maker Faire here in the San Francisco Bay Area to hit the publish button. As I walked about Maker Faire I became re-energized by the amazing things people are creating with computer technology. Most, if not all, of the computing related objects that these extraordinary inventors, artists, creators, and DIYers shared were not created with iPads or mobile technologies of any form. They used Linux, Windows, and OS X. Ever since leading a 16 person iPad study group during the 2011-2012 school year at my previous site, I’ve grown more skeptical of iPad 1-1 learning models (eg, giving every student in a school/district an iPad). Over the past 18 months I’ve visited ‘iPad’ schools, attended a range of iPads in schools workshops, and participated in online conversations of all forms regarding this platform. Conversations tend to center around apps, how the devices are going to be insured, the ‘best’ apps for for _________ purpose, etc. Most of what I’ve seen and heard described are learning experiences that could easily be done with less expensive technologies, including a piece of paper and a pencil. The focus of these conversations leaves me feeling a bit empty and filled with questions about whether or not this approach is doing right by the kids we serve. Does giving every student an iPad mitigate or exacerbate issues of equity in our school communities? Many school communities, by virtue of assigning every student a school owned laptop, would submit that this model addresses issues of equity. I’m not convinced. For some students attending an ‘iPad 1-1 school,’ the iPad will be their only computer. If the iPad is a student’s sole computer, what sort of opportunities are they missing out on? A huge learning opportunity they are missing out on is coding and controlling peripherals of all forms. These students will be unable to write and create executable code or run multimedia programming applications like Alice, Scratch, and Visual Python. Alternately, kids who have a primary laptop/desktop computer at home will be able to engage in these powerful learning activities. Is this promoting the kind of equity we aim to address with 1-1 learning? iPads are often times promoted as being really ‘easy’ to use. Is this true? And is ‘easy’ what we really want? I find myself constantly setting my iPad aside in favor of my laptop to do a wide range of simple tasks that I find cumbersome on the iPad. Even a simple task like multi-tabbed browsing on my iPad1 is clumsy at best. How about collaborating in small teams and loading raw source video, audio, and even photos that are not created on the iPad itself? I’ve found this process to be much more difficult than it needs to be. Finally, is ‘easy’ what we are really after? Some of the most complex and sophisticated tasks that we can do with computers are really hard. Working with scientific probeware peripherals, programming physical microprocessors (eg arduino and gogo boards), building robots (lego nxt), controlling 3D printers, crunching complex heaps of data, etc. are all complex tasks for the classroom. Many of these incredibly rich and rewarding learning experiences aren’t accessible on the iPad. Do we shy away from difficult experiences like these because they aren’t ‘easy’? I hope not. What are the learning dispositions we aim to foster in our students and school community and is going all-in with iPads going to help us build these dispositions? Are iPads the best use of our precious school funds? Because owning an iPad is like owning a highly mobile vending machine, it is difficult to quantify the total cost of ownership. Many schools that are heading in this direction are purchasing the 64 gig models ($699) along with keyboards, apps, insurance, and other accessories. This amounts to a significant financial investment. It is even more significant when you consider that many schools are looking at upgrading every 2-3 years. A laptop will last four years. What are the opportunities costs of such an investment? How are iPads helping your students participate in the long tail of invention, creation and manufacturing (the ‘Third Industrial Revolution’ as some have called it)? Shopbots, laser cutters, 3D printers, etc are bringing tools that were once only available to a few corporations to the creative class. iPads don’t interface with these devices. Have you given this some thought? And a question for the adults in your community who were involved in making this decision: Are you making the iPad your primary computer? If so, kudos for eating the same dog food that you are serving up. If not, why not? Why is the iPad good enough to be used by youth as their primary computer but not good enough to be used for your primary computer? If the device that is revolutionizing the world before our very eyes isn’t good enough to be used as your primary/sole computer, why is it good enough for kids who want to hack, remix, code, print to 3D, and create amazing representations of their learning? Did you ask the students about their preferences? I have and as one might expect, students are all over the map in terms of their preferences for mobile computers. While a good number of students certainly are Apple fans, many are already comfortable using other computing platforms in creative ways. Ask the students and you might be surprised with the thoughts they share with you. I hope this doesn’t come off like I’m anti-iPad or a technology curmudgeon. I’m not. I love my iPad for niche uses and feel like it could be a useful devices for *some* students. I also realize things change quickly in technology and we all may be using touch interface tablets at some point in the future. But we aren’t there yet. I’m legitimately interested in any answers to these questions. I’m also interested in other critical questions that we should be asking about going 1-1 with the iPad platform. This is the kind of stuff that I'm excited about in the area of educational technology lately. One of my professional goals is to increase opportuntiies for kids to create and make objects that have personal meaning to them. I don't know how I'm going to do it, but I am going to give kids the chance to create stuff with the maker bot at my new school. What is your school community doing to give learners the chance to make cool objects?? I love this image and quote from Darren Kuropatwa over at the Great Quotes about Learning and Change Flickr Photo pool. It sums up many of the challenges I've grappled with when designing learning experiences with teachers through the years. I'm a firm believer that knowledge is the direct consequence of our experiences-it's essentially how we learn everything...until we go to school that is. While I don't own any Arduino components, I'm quickly becoming captivated by the potential of this platform to encourage kids to play, tinker, explore and create cool objects that they dream up. Arduino is a powerful open source hardware programming system that is used by engineers and artists alike. See this article from the New York Times on how artists and museums are using the platform to create interactive, low cost exhibits. I'm much, much more excited about the potential of Arduino in K12 than any emerging educational technologies, including the iPad. I could see kids making interactive toys, alarms for their rooms/lockers/lunch boxes, interactive displays for their art work, and more. Arduino is interdisciplinary by nature and brings together skills from a wide range of disciplines. Below you'll find just a few videos that demonstrate the kinds of things that can be built on this platform. I think they'll give you a sense as to why I'm so excited about Arduino! In the video below, a guy shares his Arduino based system that he used for locating his bike in the herd of bikes at Burning Man. His project description and write-up is posted here. Interactive Talking Plush Portal Turret from Jonathan M. Guberman on Vimeo. The results of a survey on this topic were published as an info-graphic in the 'Education Database Online Blog' at the end of April.' To be fair, the survey doesn't aim to provide a yes or no answer to such a complicated question, but as an advocate of using social media to improve many different parts of the teaching and learning process, I find myself quite defensive. It seems we're so eager to readily dismiss new opportunities to engage students without scrutinizing some of the questionable practices that have been in our schools for eons. I'm glad we have a desire to deeply interrogate the intersection of new media and learning. However, I hope we're equally critical and introspective regarding all forms of technology, systems, pedagogy and methods when it comes to learning. 1. Is lecture ruining students? 2. Do standardized tests ruin students? 3. Do solitary, paper and pencil final exams ruin students? 4. Does homework ruin students? 5. 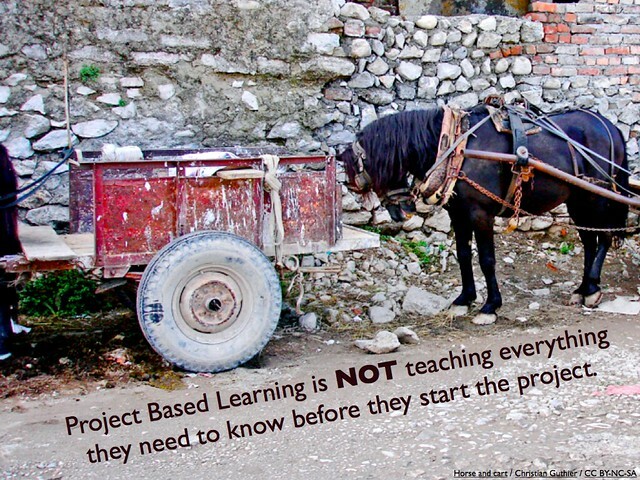 Does project based learning ruin students? 6. Does the non-stop reading of books ruin students? 7. Does google ruin students? 8. Does play or a lack of play ruin students? 9. Do school based reward and award incentives ruin students? 10. Does the use of processed, packaged and unhealthy foods in school lunches ruin students? This list could go on and on. Let's be sure we're asking all of the tough questions as we imagine and create the best learning design possible for youth. Classroom 2.0 Discussion: "Should teachers and students be "friends" on social networking sites?" The discussion topic, "Should teachers and students be 'friends' on social networking sites," was started back in December of 2008 on the Classroom 2.0 ning site. I subscribe to this discussion via email, and it has been interesting to see how it has 'evolved' over the past couple of years (I'd say it hasn't really 'evolved' much at all...most posts are pretty dogmatic in the assertion that students and teachers should never connect via the social web). It's amazing how this conversation has moved along over the past few years. All I can say is that I'm really glad I'm connected to a variety of students, past and present, using websites like Facebook, Twitter, etc. On one level it has given me TRUE insight (not insight influenced by sensational media reporting) as to what students are doing in these spaces. Contrary to what the media might report, youth are using these spaces for creative and useful purposes like study and collaboration, commenting on the latest news of the day, mobilizing social justice campaigns (remember the 'wear purple day' in support of LGBTQ youth last fall? ), socializing in healthy ways with friends, connecting with family members, playing games, sharing photos, etc. The experience of connecting with students in a variety of ways and spaces allows me to talk intelligently to other adults about what students are doing with these powerful communication and collaboration platforms. It seems to be that time of year again when institutions finalize decisions and make preparations to move to a new collaboration environment. Within the past week, I've been contacted by five different schools around the US that are transitioning away from FirstClass to Google Apps Education Edition. I've written about my organization's journey from two years ago here at my blog...this is more of a resource dump intended for anyone out there who might be moving from FirstClass to Google. This is also useful to me as I now have a single link to all of the documents that we found helpful as we went through our transition. At some point in the near future I'll write a little update reflection on how things have gone over the past 2 years of using Google apps, but for now I'll just provide links to relevant transition support documents. Best of luck moving to Google Apps! Our organization's transition support site - a collection of documents, tutorials, videos, etc that documented our migration process. Rating our transition - what went well - a blog post summary of the things we did well in this process. General Google Apps security and privacy questions - answers to privacy and data ownership questions can be found in this document. I'll save you a little time here...yes, the data is secure and private. Regarding data ownership-yes, the organization owns the data. Regarding data mining-No, google does not mine and harvest information from Google Apps domains. Wishing you and your family a wonderful holiday season!!! 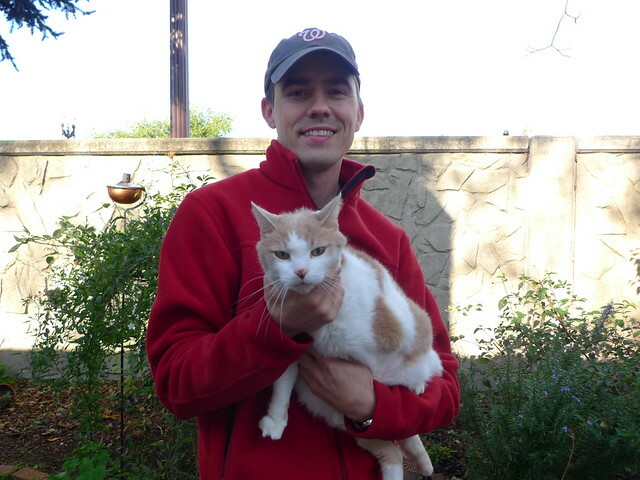 January 2010: We started out the year on a sad note as we said good by to our cat, 'Mr. Kitty,' who owned me for the better part of 14 years. He meant a great deal to us and we were sad to see him go. A special thanks to Dr. Marissa Cruz at the Hawley Vet Clinic for her treatment and care near the end of his life. 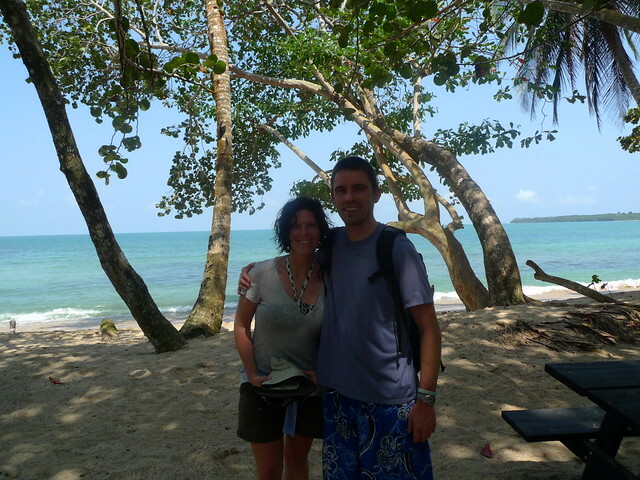 February 2010: Erin and I visited the beautiful country of Costa Rica and had the adventure of a lifetime! Erin was nearly three months pregnant at this point and it was wonderful to have such a great experience together prior to welcoming our new baby in August. March 2010: Our good friends also had babies this year...as a matter of fact, Karissa (pictured to the left) had her baby in June, Brynn (middle) in July and Erin in August. 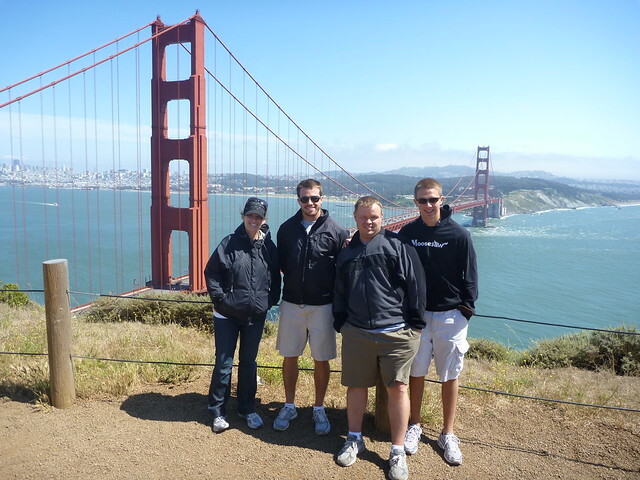 It was so much fun to experience the process with them throughout the first six months of 2010. This is a picture of the three of them at Karissa and Greg's place. 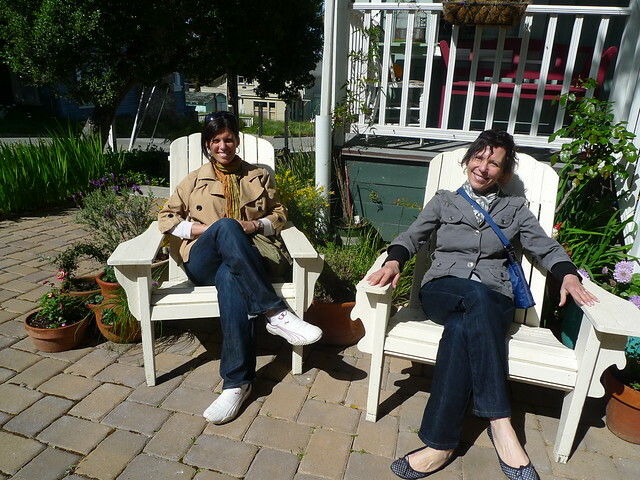 April 2010: Erin's mom visited us and we went down to Pacific Grove on the Monterey Peninusula to meet up with her brother and nephew....'twas great fun. We also had great fun visiting with my buddy Dave and his wife Sherrie who were in town for the Big Sur Marathon near the end of April. 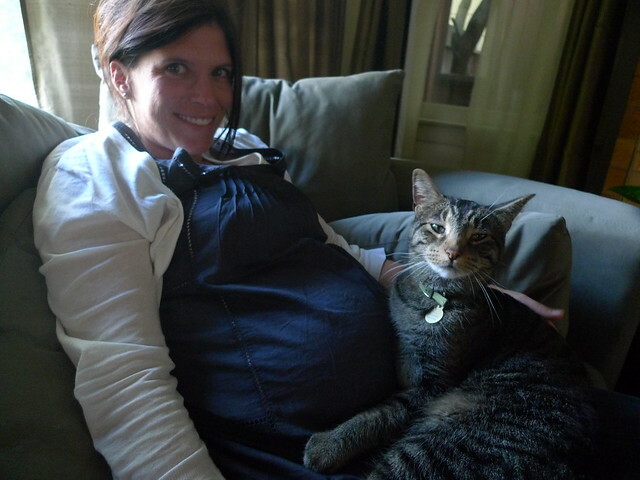 May 2010: Bucky took every opportunity he could find to sit on Erin's lap during her pregnancy. 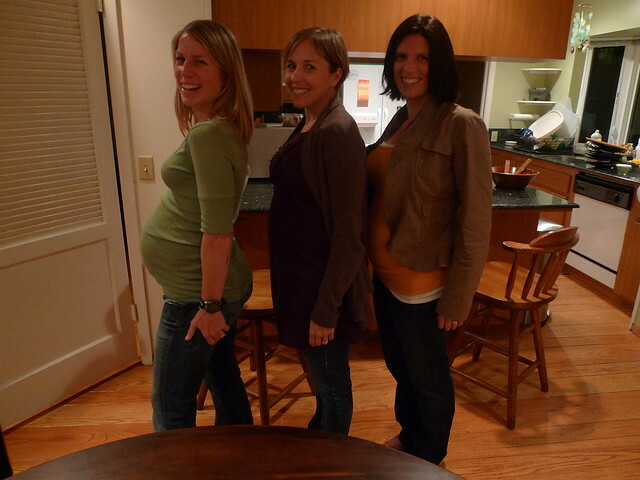 Erin was roughly 6 months pregnant at the time of this photo. July 2010: Visit to Michigan to see the family. We had a fantastic time visiting with friends and family in Michigan. 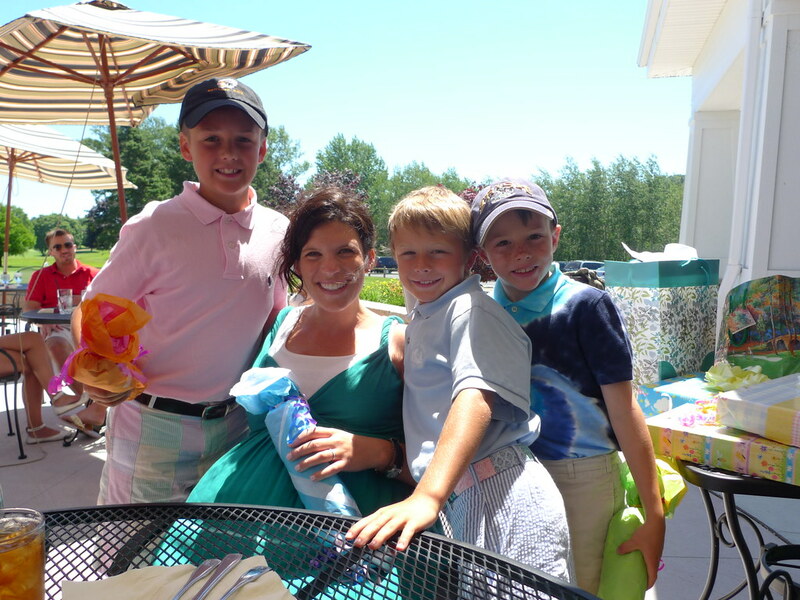 Pictured alongside Erin are nephews Quinn, Jack and Patrick at a shower that our family threw for us in Lundington! 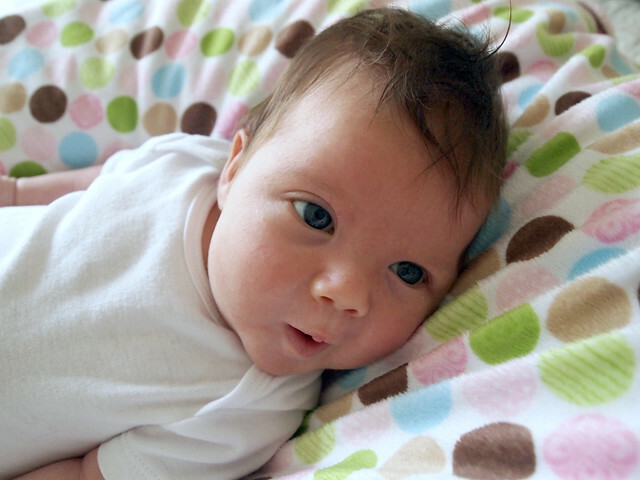 August 2010: Weighing in at a very nimble 6 pounds, 3 ounces, little Morgan Kathleen Montagne was born on August 6 at 1:00 am!! 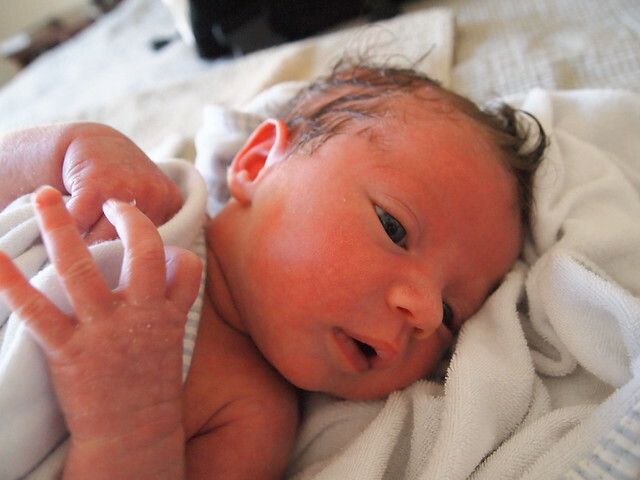 This photo was taken minutes after her birth. 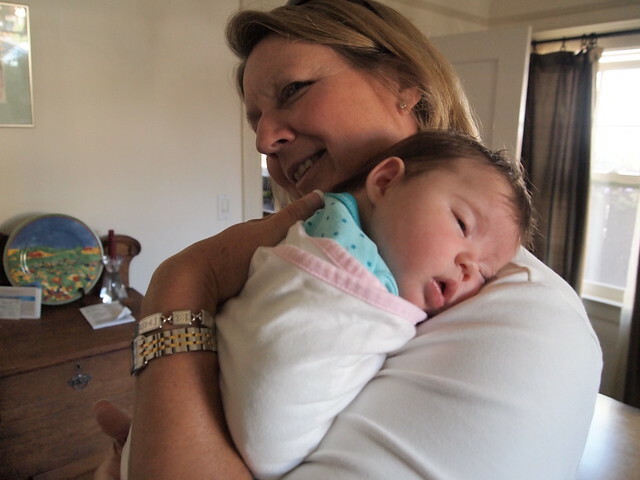 October 2010: Morgan's Aunt Mickey visited us for 5 days! 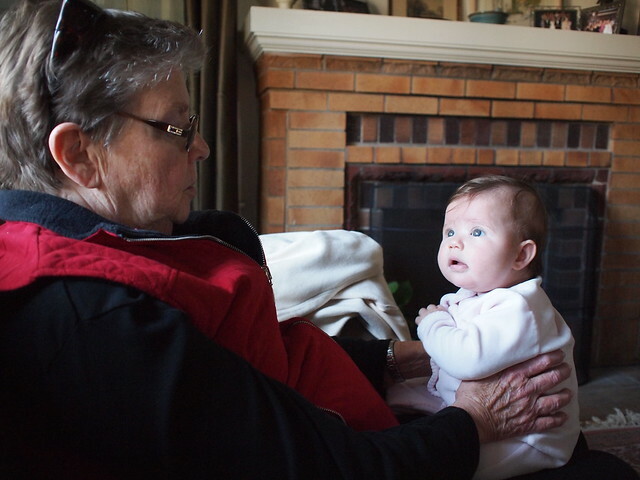 November 2010: Nana visits Baby Morgan...my mom visited us in the Bay Area for Thanksgiving week. It was so fun having her see Baby Morgan for the first time in person! 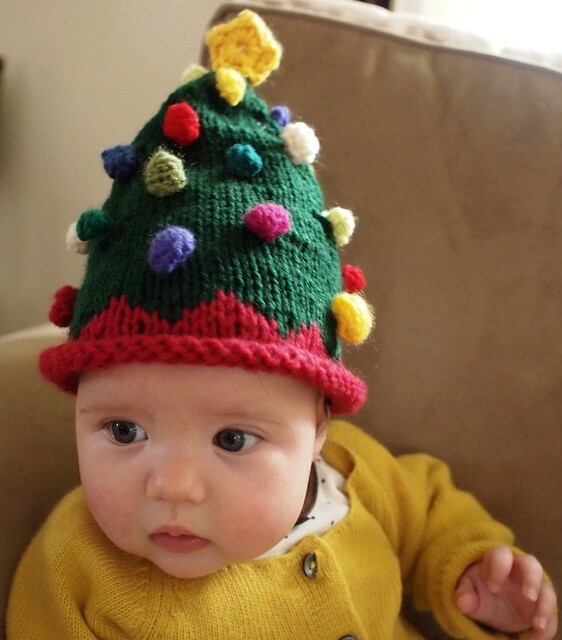 December 2010: Baby Morgan in the Christmas tree hat that her Nana made for her...this also happens to be the photo used in our Christmas card this year. Teachers have always been a resourceful lot. Whether it is the student who shows up to class without their book, limited class access to resources, or only one Internet connected computer in the classroom, we just find a way to make it work. This has always been the case and its no different with digital learning tools. Have the need for photos? Have the students who own a cell phone with a camera take the photos. Need a quick website for a project your class is working on? 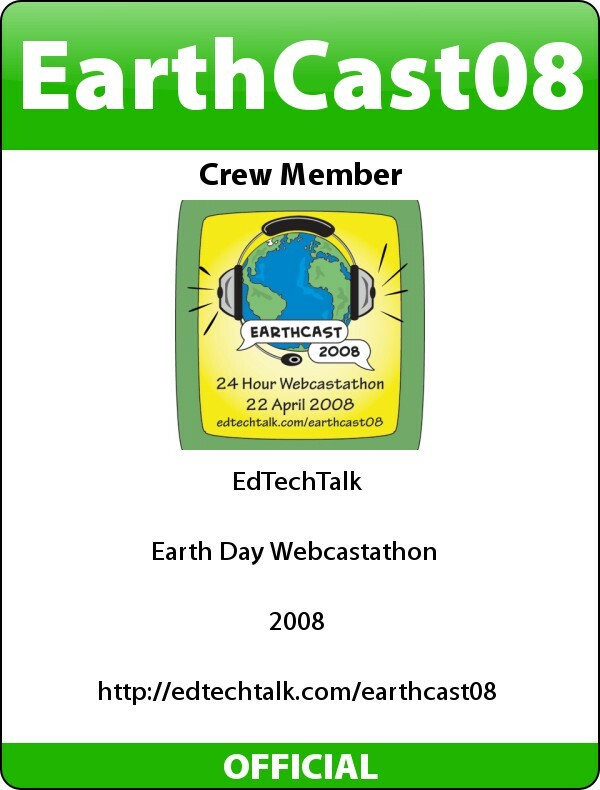 Create a wiki in wikispaces or a blog in posterous. Yesterday in our French IV class we had the unanticipated need for a small team of students to do a quick recording and post it online for use within a google site that they were working on. The solution? 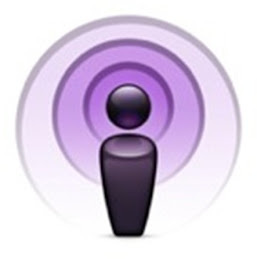 One of the students had an iPhone so I asked her to install iPadio, do their recording, and then publish it online. After this was done, she embedded it on her team's site (I'm also embedding it below-its in french, which means I have no idea what the students are saying). All told, this process probably took 15 minutes-contrast that with the typical process of tracking down a school owned audio recorder/mic, doing the recording into garageband/audacity, editing, and then posting online. I can imagine a bazillion other ways to use student owned iOS devices in our classes. Teaching music theory and don't have enough guitars/pianos to go around? Ask students who own an iOS device to install a guitar or piano app. Have a need for students to do some sketching, painting or drawing? Have interested students use a drawing program for their cellphone to try creating in the digital medium (see this piece from the NYTimes titled, "Subway Sketches"). As some of our students return from winter break in January outfitted with new digital devices, I wonder how we can ready ourselves to be resourceful and to make use of student owned technologies in positive ways in our schools. What are some ways that you've been resourceful in your classroom with digital tools? 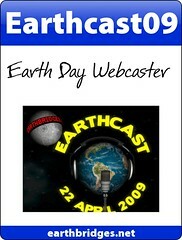 I'm happy to submit my nominations for the 2010 Edublogs awards via this post. While I'm often not a fan of these types of extrinsic awards, I believe the spirit of the Edublogs Awards is more growth oriented than anything else-and quite honestly, blogging (and most any online work, quite frankly) is still in its infancy and needs systems these this to provide much needed incubation. Steve is clever, witty, and a damn good writer-be sure to add this feed to your reader--great blog that often times talks about technology infused pedagogy and methodology (disclosure-I work with Steve). --I'm not nominating Richard because he is one of the few people to leave a comment on my blog...his work is much, much broader than 'Tech Support" and really is more focused on learning, but its a blog that I like reading and one that I feel is deserving of an Edublog award for sure.